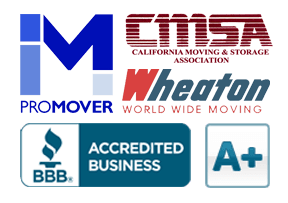 Burlingame | Cummings Moving Co. WEATHER Temperate “Mediterranean” climate with sunshine April – October. 54-82 degrees in July and 39-57 degrees in January. September & October are generally the warmest months. LIVE IN BURLINGAME Folks move to Burlingame because it has smaller city feel and very nice amenities. The schools are top notch and there are plenty of tree-lined streets. 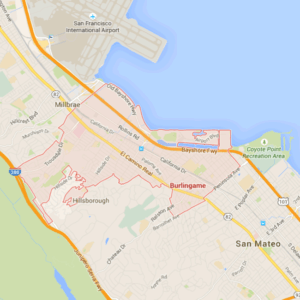 Burlingame is very close to San Fancisco, the airport and major highways 280 & 101. OUTDOORS There are wonderful outdoor areas all around Burlingame. Call the – Burlingame Parks & Rec Department 650-558-7300 – Here are a few to explore! Mills Canyon Wildlife Area – Open Space Area – Adeline and Hillside Burlingame, CA 94010 – Rustic hiking with open trails at a hidden spot that most people don’t know about. Bay Tail – Goes through Burlingame – Walk comfortably along the water’s edge or sit down on one of the many benches to watch planes land and take off at the airport. Washington Park – The park is at 850 Burlingame Avenue and offers a variety of things to do: Bacci, horseshoes, baseball, an old wooden grandstand at the baseball field, basketball, picnic areas, tennis, playgrounds, a rose garden and community center. INDOORS On that rare rainy day in Burlingame, or to get in out of the sun, you can always head to any one of these great places! If you are planning to relocate to Burlingame, read our latest post that provides a Change of Address CheckList. This checklist will help you prioritize which companies to notify right away and which ones to notify after the move.